At Savannah CondoPark, you'll discover breathtaking action and drama. In a tale of an exotic paradise with hidden caves, enchanting waterfalls and a lush green, mysterious expanse, where excitement awaits you at every corner, waiting to be discovered, explored and enjoyed. As you step into Savannah CondoPark, you'll be greeted by the stunning sight of magnificent wildebeests, accompanied by a menagerie of other animals, immortalized in bronze. Savannah CondoPark's impressive gateway is flanked by the dramatic impact of 10-metre tall columns carved with animal hieroglyphics. Complementing the sense of drama is the quieter appeal of tree-lined shady avenues that lure you to sample the delights hidden within. And take a stroll on moss-covered pebbles, overhung with droopy ferns, to discover the magic of the Hidden Valley. With a star-studded cast of unrivalled facilities, Savannah CondoPark offers an action-packed family adventure with something for everyone. From a picturesque barbecue centre to a Clubhouse that features a unique two-lane bowling alley in addition to an impressively equipped gymnasium. For the action buffs, Savannah CondoPark includes two tennis courts, while an assortment of pools add refreshing splashed of azure blue amidst the natural foliage. Gracing the edge of the central pool is the Peninsula Pool Deck that represents an ideal spot for quiet meditation or indulgent sun bathing. At Savannah CondoPark, you'll come home to superb living conditions. A total of 648 units offer a variety of design configurations in eighteen 10-storey tower blocks. Arranged in a dynamic curve, the apartments overlook a lush green expanse, giving you a breathtaking view of the sparkling blue pools and the surrounding tropical landscape from full height glass windows. The star attraction lies within the master bathroom - the sheer indulgence of a sunken bath sheltered by horizontal slat screens for privacy and exquisite Hands Grohe tap fittings. Every apartment at Savannah CondoPark offers the luxury of Lutron's remote controlled dimmer lighting. Each kitchen comes furnished with DuPont's Corian solid acrylic work tops and Hans Grohe tap fittings. In addition, every home provides the sheer convenience of an energy-saving inverter air-conditioning system. Small wonder, life at Savannah CondoPark evokes the feeling of understated sophistication and luxurious living. Savannah CondoPark is accessible via major transport networks such as the Pan Island Expressway (PIE), Tampines Expressway (TPE) and East Coast Parkway (ECP). Nearby shopping malls are the Eastpoint Mall, Century Square, Tampines Mall. Lovely Place to stay. 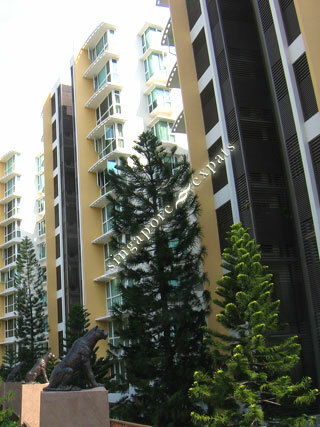 One of its kind Safari theme condo. A great place to relax after a day of hard work. Best property in district 18. Beautiful condo facilities. Full of greenery. Feels like living in a resort. Safari theme condo. Paradise within a City. Spacious and full condo facilities.